We rarely get snow in North Texas, so we hardly ever get to make a snowman. But who doesn’t love making a snowman? 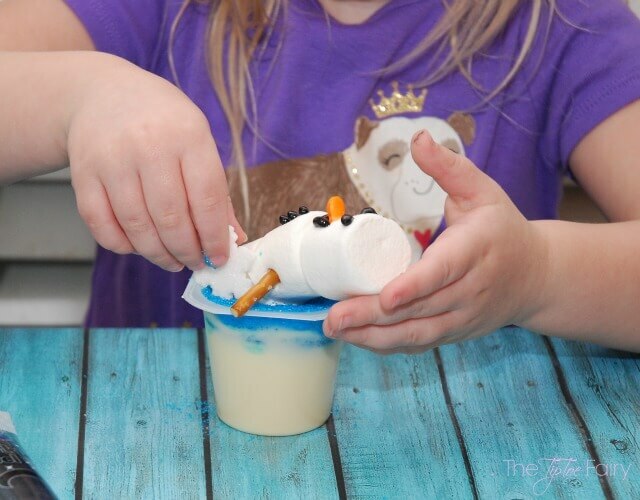 I like to get creative with my kids, so we make snowmen from all kinds of things, like play dough, mashed potatoes, and marshmallows. A few days ago, as I was grocery shopping, I picked up some Snack Pack® vanilla pudding and butterscotch pudding (my fave!). Then, I raided the leftover Christmas aisle. You never know when that stuff will come in handy. I found the cutest little snowflake sugar decorations and peppermint spoons. They inspired me to make Snowman Bubble Bath! 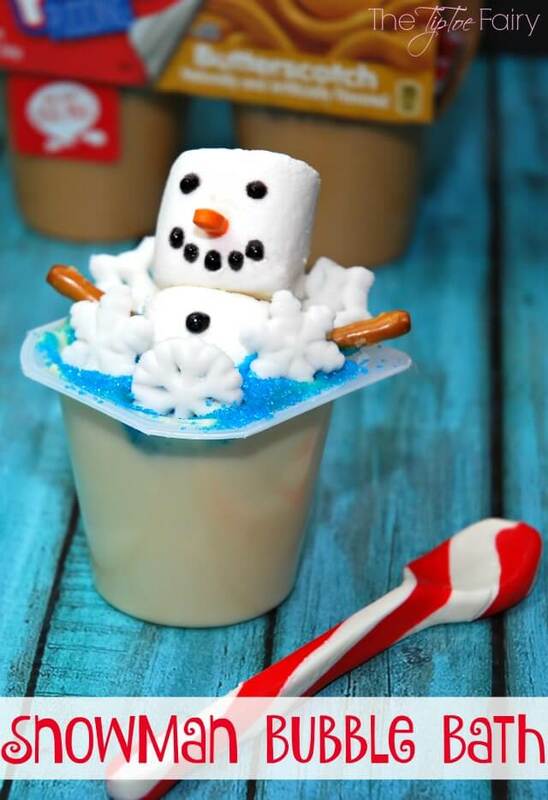 We made snowman marshmallows and turned our pudding cups into bathtubs with blue sugar crystals. We dunked the snowmen down into the pudding and topped them off with snowflake bubbles. The snowflakes were perfect to keep the bath at a frosty temp for our snowmen! We used pretzel sticks to make our snowmen. One pretzel stick was enough to hold three marshmallows together. We used a piece of candy for the nose. You can use anything orange-colored, such as a candy corn or fruit chew. When I raided the Christmas candy, I found candy light bulb decorations, so we used the orange ones for the noses. We also gave him arms by breaking a pretzel stick in half and putting one piece in each side. Decorating the face is probably the most fun! We used black glitter gel frosting for the eyes, mouth, and buttons. My 5-year-old did such a great job all by herself. 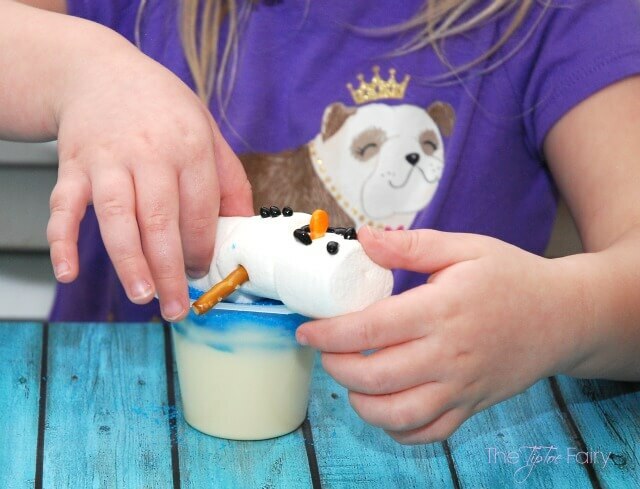 After decorating the snowmen, you can do all kinds of things, like turn them into puppets, create a landscape with snowmen and blocks, or you can do what we did and give them a bath. We chose a snowflake bubble bath to keep them frozen! 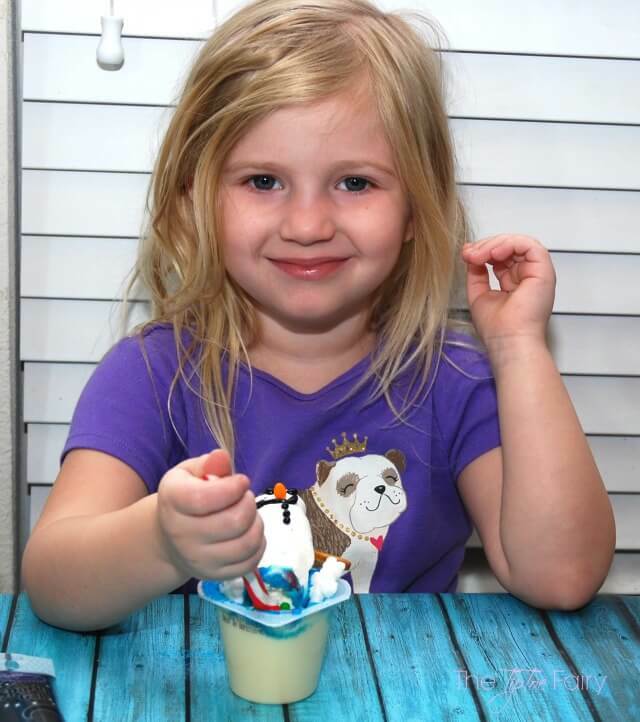 We used vanilla pudding, but you can use any Snack Pack® flavor. We just covered the top with blue sugar crystals for the water (blue sprinkles are great, too). Finally, it was time to give our snowmen a bath. Some of our snowmen wanted to sink right in. Others wanted to just rest on top. Once they were in the bath, we added sugar snowflakes as the “bubbles” for the bath. Then it was time to dig in! I found peppermint spoons in the clearance aisle and I thought they would be a perfect addition to enjoying our Snowman Bubble Bath. Go ahead and play with your food! 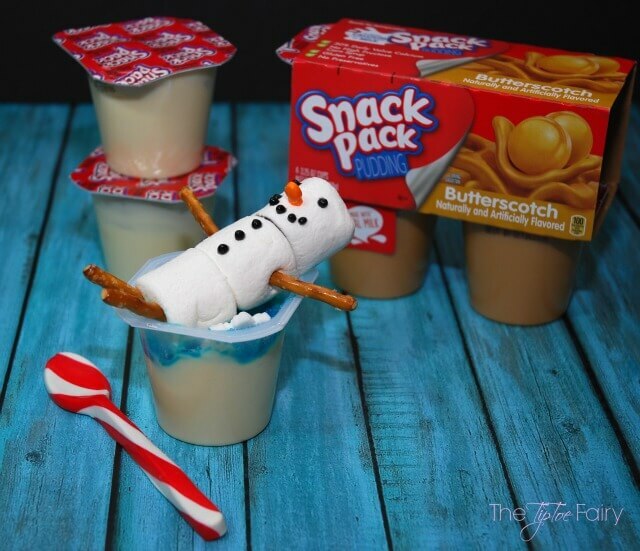 Make this fun winter craft with your kids and have snack time at the same time with Snack Pack® pudding! 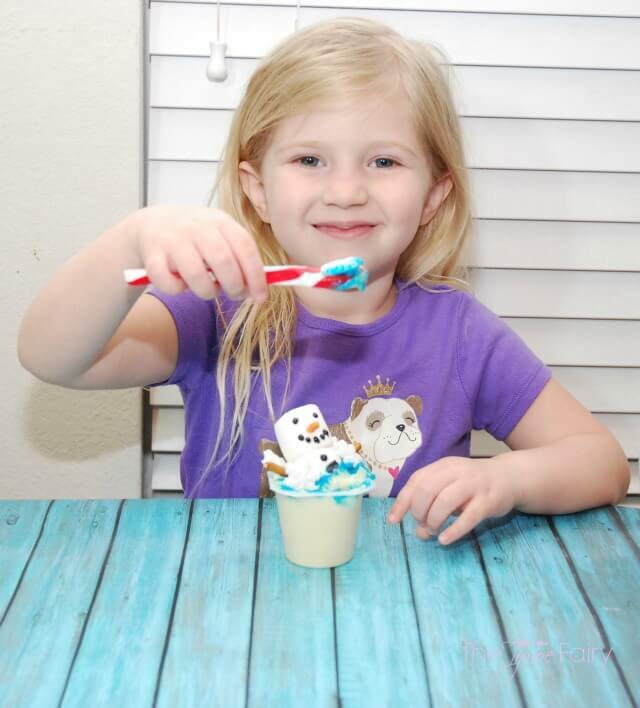 This winter, take a moment to slow down and enjoy a tasty and fun treat with the kids. Snack Pack comes a variety of flavors and offers endless mix-in opportunities the kids can help prepare. Each serving of Snack Pack is fortified with as much calcium as an 8-oz glass of milk,* so you can feel good about serving your kids Snack Pack. For mix-in inspiration, visit Snack Pack on Pinterest and Facebook. This is really cute! I love the concept behind this and will totally be raiding the candy aisle after the holidays! First of all, I LOVE Snack Pack, and second of all, this is the cutest! I love the little marshmallow snowman. Such a great post! These are sooo cute! My kids love those Snack Packs. We always buy them when we’re at the store. These snowmen are adorable! 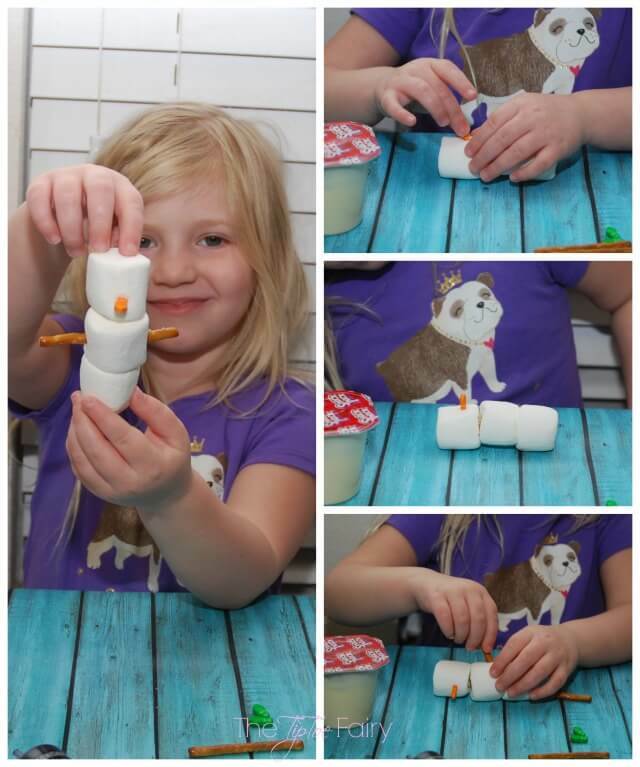 What a fun and yummy project for kids. We love Snack Packs! This is absolutely adorable. I’ve got to try these for the kids this weekend, they’ll think they are the best invention ever. I LOVE this! What a cute idea! They look adorable; I wouldn’t want to eat them. Now is the time to stock up on Christmas goodies. I’ve bought a ton of stuff for Christmas in the January sales. This is so cute!! My kids would flip out if to make these for snacks, perfect for a party too! OMG that’s so cute!! Totally loved the craft! 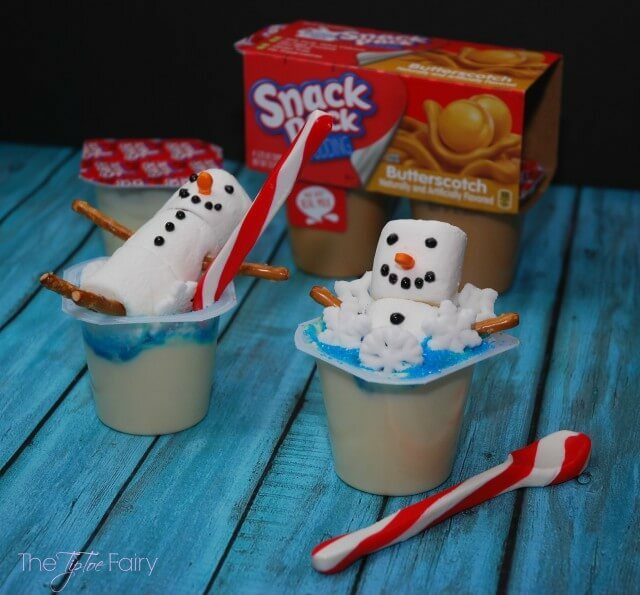 That’s a pretty cute snack…my kids would love that! I have never thought to dress up a Snack Pack like this before. 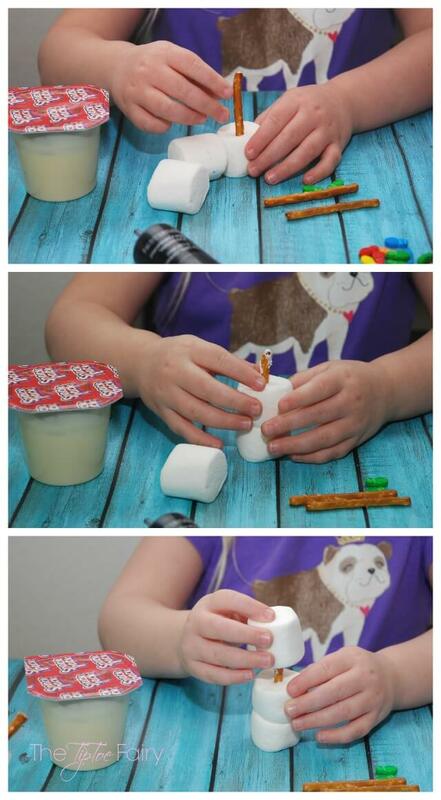 What a great idea to do with the kiddos! 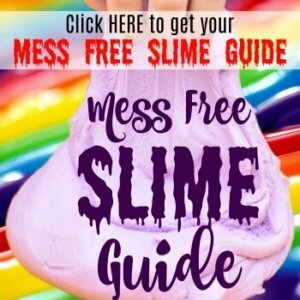 I remember growing up on these and now there are so many ideas out there to make them fun! Thanks for sharing this one. This is such a fun winter time snack. My kids would love if I made them a fun treat like this! What a great idea! A snack and a craft all in one – I bet they taste amazing too. Such a neat craft project! It’s nice to get kids involved in such creative projects. a snowman bubble bath?! That is so cute an adorable idea made into a snack! OMG! This is absolutely adorable!! These look so yummy! I imagine marshmallows would be amazing with pudding.